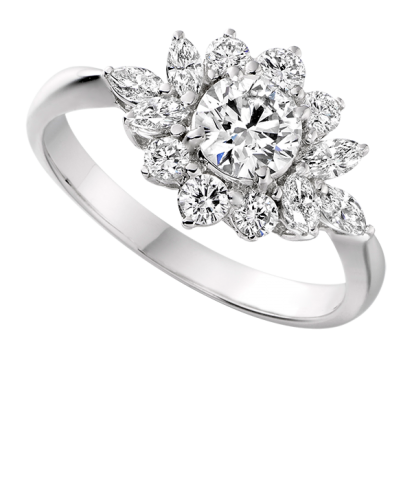 Heart Diamond Engagement Ring is a Romantic choice of 3 stone or Trilogy Diamond Ring. 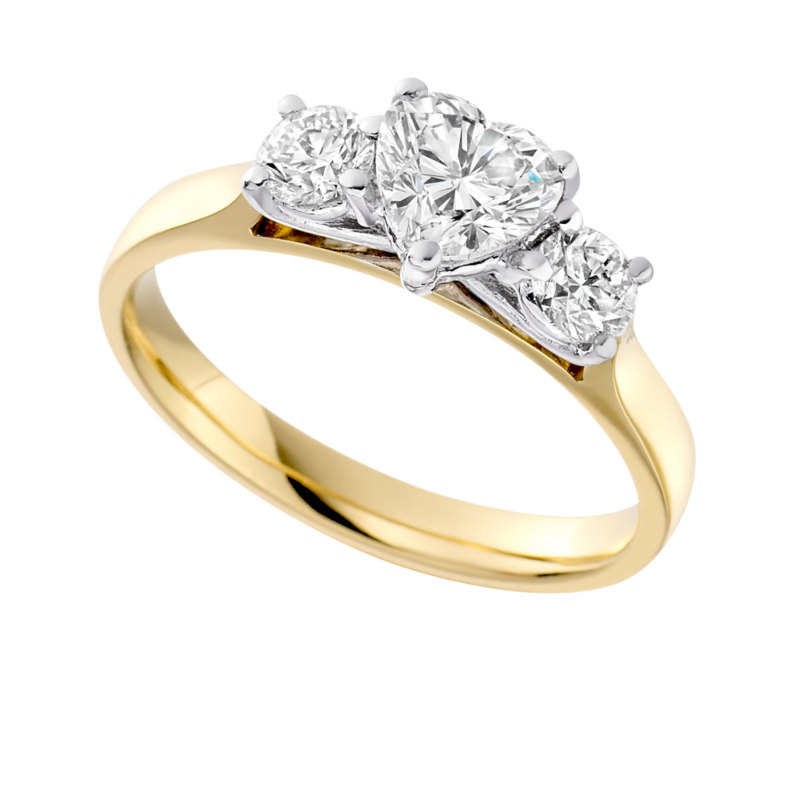 A 3 Stone Diamond Engagement Ring or Trilogy Diamond Ring is a very traditional yet classical engagement ring choice. Various styles of 3 stone engagements rings can be made. 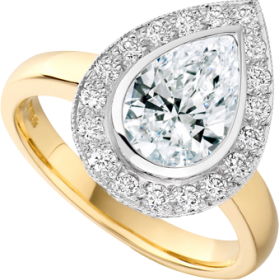 In this instance, the Heart Diamond Engagement Ring pictured, is an example of a more unusual 3 stone as a Heart cut Diamond has been used as the centre diamond. The heart cut diamond is slightly larger than the 2 round brilliant cut diamonds which makes the Heart cut Diamond the focal point of this Heart Diamond Engagement Ring. 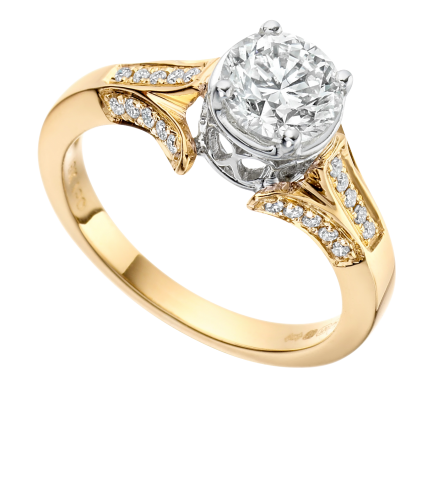 This heart diamond engagement ring has a yellow gold band but a white gold or platinum band would also suit the ring style. Alternatively a diamond set shank could be used on the Heart Diamond Engagement Ring. A heart cut diamond is a fancy cut diamond and a diamond shape which appeals to the more romantic spirit. Lot of engagement rings can be created using heart cut diamonds. Heart cut diamonds can be used as a main centre piece or a side stones to give a little hint of romance to the engagement ring.